Is ‘Dog Flu’ being the Next Deadly Virus Disease? Past recent years, both bird flu and swine flu created a stir among the world. Now, a new warning may be on the possibility. A new study says that the influenza virus can jump from pigs to canines. Generally, an influenza virus jumps from birds to pigs, and then, finally, to human being. When new strains jump to humans, our immune systems, which doesn’t experience of these unknown pathogens and then fail to protect us. Generally, swine and birds are measured as the most dangerous for the influenza virus; viruses in horses and dog seem to have much less viral genetic range. Venkataeswara Hospitals is the Best Hospitals in Chennai offering all kind of medial and health news instantly. Here you can read Tips to Prepare Your Kids for Vaccines. 15 years ago, researchers recognized an influenza virus that had entered a horse before get into a canine. This became the first canine influenza virus. Now, we have H1N1, H3N2, and H3N8 in dogs. They are starting to act together with each other. This is very significant of what happened in swine 10 years before the H1N1 virus. This new virus that the researchers found is H1N1, but it is different from the strain that caused the previous pandemic. The next step will be to test the virus on human. Influenza virus is starting to have a various phenotypic and genotypic characteristic, creating variety in a mass which is in very close to humans. It may be that humans already have a defence against this particular injure, but that does not get the concern away entirely. For example, in the United States, whenever avian flu is identified in birds, they are culled. In case of dogs, it would be an unpopular solution if the virus was to infect the domestic dogs. Most of the Doctor says, “There are some ways to limit this influenza virus in pigs via vaccination, and one might think vaccination for dogs. 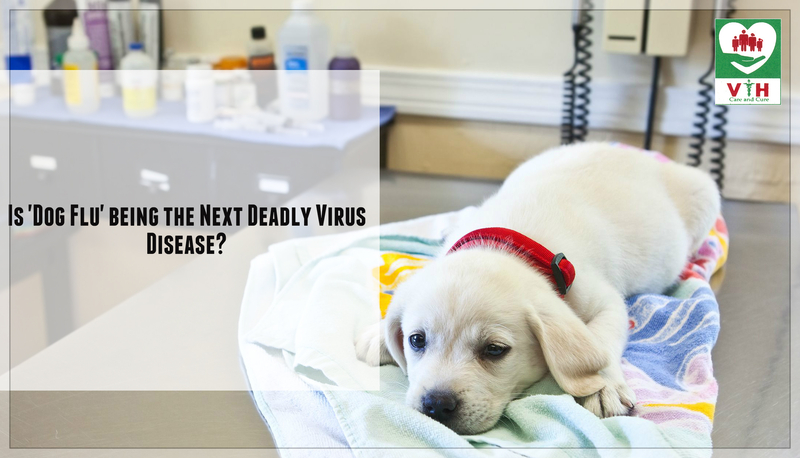 Hopefully, time will tell whether dog flu could become a serious reason for worry.